Your privacy is important to us and we are committed to protecting your personal information whilst providing you with the support and engagement that you expect from WDC To better protect your privacy we provide this notice explaining our online information practices and the choices you can make about the way your information is collected and used. In this policy, whenever you see the words ‘we’, ‘us’ or ‘our’, it refers to WDC, Whale and Dolphin Conservation. We are a registered charity and company wholly owned and operated by WDC. 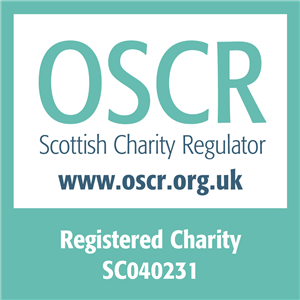 A company registered in England and Wales with company number 2737421 and a charity registered in England and Wales with charity number 1014705, and in Scotland with charity number SC040231. Our registered address is Brookfield House, 38 St Paul Street, Chippenham, Wiltshire SN15 1LJ. WDC (Trading) Limited sells a range of goods through its shop and café based in Scotland, enters into corporate partnership agreements, and runs a raffle. All of its profits are passed to WDC. WDC (Trading) is wholly owned and controlled by WDC and all staff are employed by WDC. By using our websites, entering a competition/raffle, signing a petition or providing your information for any other purpose, you consent to our collection and use of the information you provide in the way(s) set out in this policy. If you are not in agreement with this policy, then please do not use our websites. We may make changes to this policy from time to time. If we do so, we will post the changes on this page and they will apply from the time we post them. This policy was last changed on 6th April 2018. Personal data is information that can be used to help identify an individual, such as but not limited to name, address, phone number, IP address or email address. The definition of personal data may change from time to time, and WDC shall update this policy to reflect any such future changes. All our partners are required via contract to treat your data as carefully as we would, to only use it as instructed, and to allow us to check that they do this. These are the basics, but don’t forget to read the full policy below, so you have all the details you need. If you have any questions, please contact our Supporter Care team on weekdays between 9am-5pm on +44(0)1249 449500 or email info@whales.org. This policy applies to all the websites we operate, our use of emails and text messages for fundraising and marketing purposes, and any other methods we use for collecting information and communicating with you. It covers what we collect and why, what we do with the information, what we will not do with the information, and what rights you have. non-personal information such as pages accessed and files downloaded. This helps us to determine how many people use our sites, how many people visit on a regular basis, and how popular our pages are. This information doesn’t tell us anything about who you are or where you live. It just allows us to monitor and improve our services. We may include a piece of code on our website called pixel tags. These are used to track conversion from social media to our website and allow us to advertise to you on Facebook and Twitter. You can set preferences for how Facebook advertises to you using Facebook ad preferences. WDC uses Google AdWords Remarketing to promote our products, such Adopt a Whale, across the Internet. AdWords remarketing will display relevant adverts for you based on what pages on our website you may have visited. It does this by placing a cookie on your device. The cookie does not identify you but allows our products to be shown to you elsewhere on the internet, such as other websites. If you do not wish to view products from WDC’s Google AdWords Remarketing, you can opt out. Find out more information on how to opt out on Google’s support page. We collect this information to administer specific activities such as e-newsletters, event registrations, adoption requests, regular giving requests, product purchases, feedback, donations, signing of petitions, competition entries etc. The information is either needed to fulfil your request or to enable us to provide you with a more personalised service. You don’t have to disclose any of this information to browse our websites. However, if you do choose to withhold requested information, then we may not be able to provide you with certain services. Where you have agreed to it, provide you with information that we think may be of interest to you. How we keep you up-to-date with our work. In October 2015, we moved to be an ‘opt-in only’ communication policy. WDC’s relationships with anyone interacting with us from that date will already be compliant with new data protection requirements. We only send communications to supporters who have explicitly stated that they are happy for us to do so via their preferred channels: email, SMS, phone or post. We will never sell your information, and will only share it with other organisations if you have specifically allowed us to do so. We believe it is necessary to protect or defend our rights, property or the personal safety of our staff and volunteers or visitors to our premises or websites. to allow us to carry out checks to ensure they are doing all these things. Information is stored by us on computers located in the UK. We may transfer the information to other offices and to other reputable third party organisations as explained above – they may be situated inside or outside the European Economic Area. We may also store information in paper files. WDC will treat all information held to the strictest standards applicable notwithstanding where held. We place a great importance on the security of all personally identifiable information associated with our supporters, customers and users. We have security measures in place to attempt to protect against the loss, misuse and alteration of personal data under our control. For example, only authorised personnel are authorised to access user information and we use secure server software (SSL) to encrypt financial and personal information you input before it is sent to us. While we cannot ensure or guarantee that loss, misuse or alteration of data will not occur while it is under our control, we use our best efforts to try to prevent this. Unfortunately, the transmission of data across the internet is not completely secure and whilst we do our very best to try to protect the security of your information we cannot ensure or guarantee that loss, misuse or alteration of data will not occur whilst data is being transferred. We will keep your information only for as long as we need it to provide you with the goods, services or information you have required, to administer your relationship with us, to present decision makers in the form of a petition or the preferences of our supporters, to comply with the law (which may require us to hold data for a time after you have ceased supporting us), or to ensure we do not communicate with people that have asked us not to. When we no longer need to hold information we will always dispose of it securely, using specialist companies if necessary to do this work for us. Legacy income is vital to the running of the charity. We may keep data you provide to us indefinitely to carry out legacy administration and communicate effectively with the families of people leaving us legacies. This also enables us to identify and analyse the source of legacy income we receive. We never sell your information to other organisations to use for their own purposes. We never share your information with other organisations to use for their own purposes, unless you have specifically agreed to do so. the right of access to a copy of the information we hold about you (known as a subject access request). Please contact us for details. If you wish to exercise any of these rights please our Supporter Care team in writing at Brookfield House, 38 St Paul Street, Chippenham, Wiltshire SN15 1LJ. Please note it is our policy to charge the statutory maximum fee of £10 for a subject access request. For more information about your rights under the Data Protection Act go to the website of the Information Commissioner’s Office. WDC is not a ‘public authority’ as defined under the Freedom of Information Act and we will not therefore respond to requests for information made under this Act; using the funds generously donated to us by our supporters for such activities is not in accordance with our charitable purposes.